The Vol. 1, No. 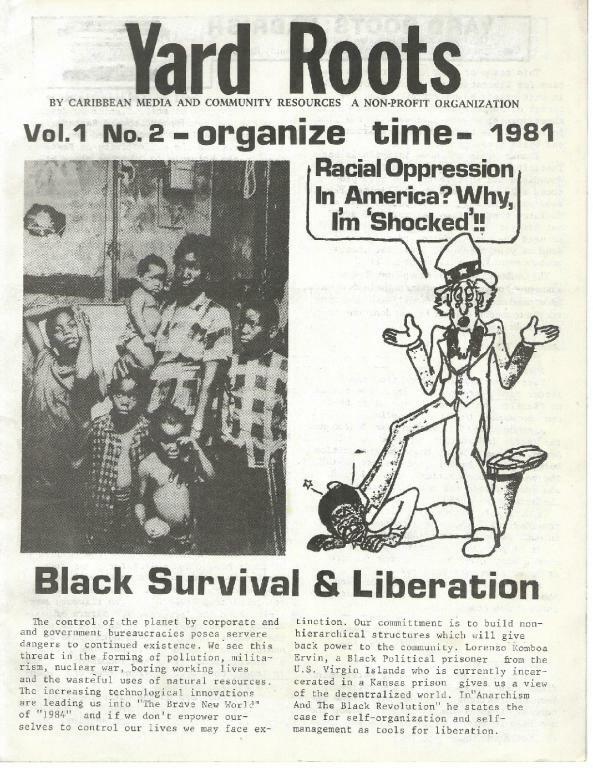 2 (August-September 1981) issue of Yard Roots, a radical, anarchistically inclined political, cultural and health oriented newsletter produced out of Oakland during the 1980s. This issue scanned for libcom.org by New York/New Jersey Workers Solidarity Alliance archives. An article on the west coast Occupy port shutdowns and the IWW's model of 'solidarity unionism'. An account, analysis and critique of the 2010 movement against pension cuts in France, by RS for Sic.